On the occasion of International Women’s Day, March 8, 2013 the Good Shepherd Sisters are honored to invite you to a conference given by two experts on Women’s Rights & The Role of Women in Society. 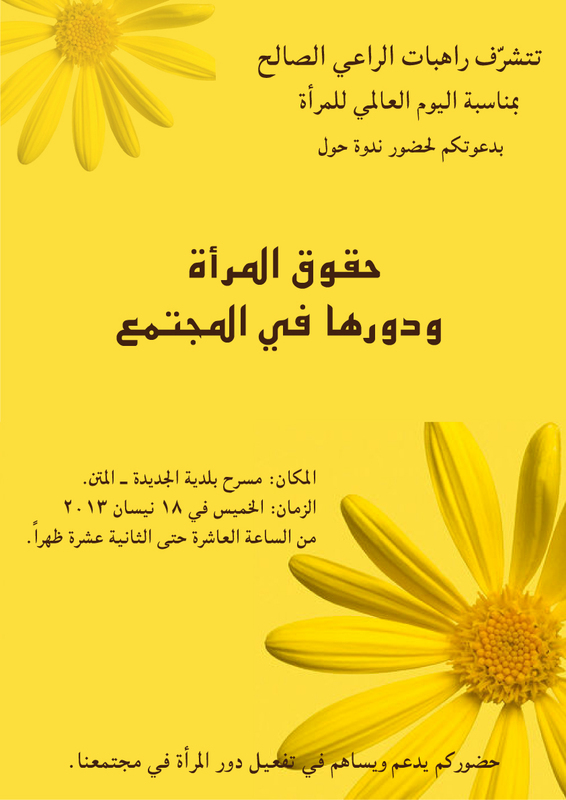 Venue: Theater of Jdeideh Municipality, Lebanon Date: Thursday, April 18, 2013 at 10.00 a.m. This entry was posted in International Women's Day, Women and tagged CSW 57, Violence Against Women, women.